Judge Denise Cote breathed life into another antitrust lawsuit against Apple and five publishers today. Dnaml was the first of several retailers to file a lawsuit against Apple and the 5 publishers, and it will also be the first to go to trial. In a 22-page ruling, Judge Cote ruled that the Australian ebook company had met the minimum requirements to have its day in court. The case, which passed under everyone's radar when it was filed in September 2013, argues that Dnaml was financially harmed "directly and as a proximate result" of the price-fixing collusion by Apple and the five publishers (Macmillan, Hachette, HarperCollins, Simon & Schuster, and Penguin). Much of the Dnaml complaint directly cites and quotes the 2012 lawsuit filed by the DOJ and state's attorneys general, and it asks for "all fair and equitable damages" as well as attorney fees. Given that all 5 publishers settled that lawsuit, it would appear that Dnaml has a a relatively straightforward case. Judge Cote has scheduled a pretrial conference for 25 July, and she also included two other retailers who have filed similar lawsuits. BooksonBoard and Diesel eBooks, two US ebook retailers, each filed a lawsuit in early 2014 making many of the same allegations as Dnaml. BooksonBoard and Diesel eBooks each got far more attention Dnaml when they filed their lawsuits earlier this year. The ebook retailers had abruptly closed their doors, with BooksonBoard shutting down with no notice in early 2013, and Diesel eBooks offering little warning when it closed in early 2014. Diesel eBooks in fact ceased operations mere days after filing its lawsuit against Apple and 5 publishers. All three retailers are represented by attorney Max Blecher, and he has previously told the court that he will seek to consolidate the three lawsuits into a single case. Given that each of the retailers amounted to well under 1% of the US ebook market, it is unlikely that the direct claim for damages will amount to much, and in fact Judge Cote said in her opinion that proving damage in terms of lost revenue was going to be difficult "in the extreme". But Judge Cote also noted that Dnaml's lost investment in their business "may be reasonably quantifiable". In short, Dnaml has a shot at getting Apple and the 5 publishers to subsidize its failed ebook investments. "It is more than plausible that a discount retailer was harmed by a conspiracy to remove retailers’ ability to discount e-books," the judge wrote in her order, adding that the retailers were "indisputably competitors in a market in which trade was restrained." Today's news comes as a blow to the publishers and Apple, which had previously tried to have the lawsuit dismissed in summary judgement. 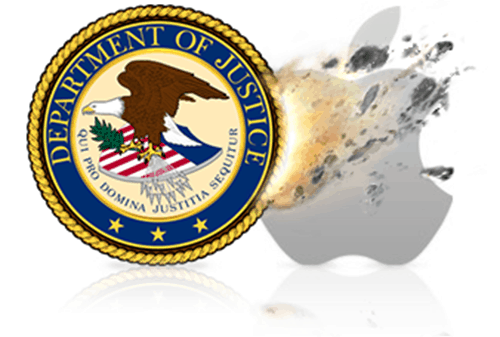 It follows just a week after another opinion from Judge Cote in which the judge ruled that the state's attorneys general could seek statutory penalties in addition to actual damages at Apple's upcoming damages trial. That trial was supposed to start in July, but it has been rescheduled for late August. I’m surprised you didn’t mention the attorney for the bookstores is the same one who argued the suit from those bookstores claiming Amazon was conspiring with the publishers. Given that you covered it and all. He found a good ambulance to chase this time, apparently. As MS discovered, once you’re found to have violated antitrust, the civil suits come fast and furious.